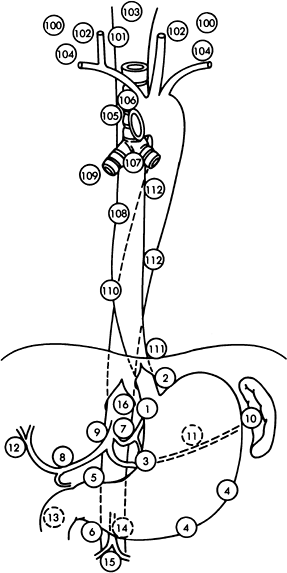 3-field resections . In 3F resection bilateral cervical lymph node dissection is performed. 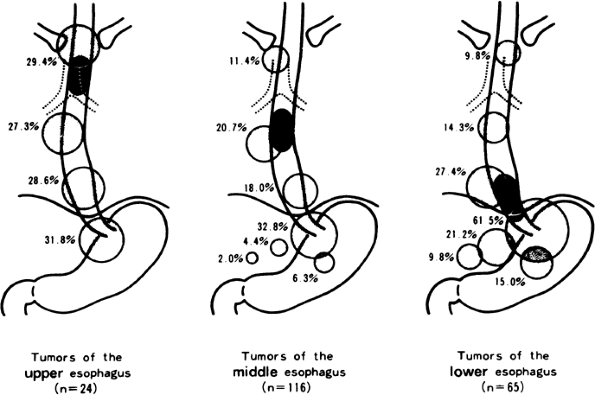 All types of resections imply abdominal D2 lymph node dissection as in gastrectomy. (c) the lower thoracic portion 8 cm in length includes the intraabdominal portion of the esophagus and the esophagogastric junction. The latter is about 40 cm from the upper incisor teeth. Right recurrent laryngeal nerve (CRLN) node- Watershed between mediastinum and cervical along the right recurrent laryngeal nerve, behind the right subclavian artery and between the trachea and the esophagus at the supreme portion of the thorax. 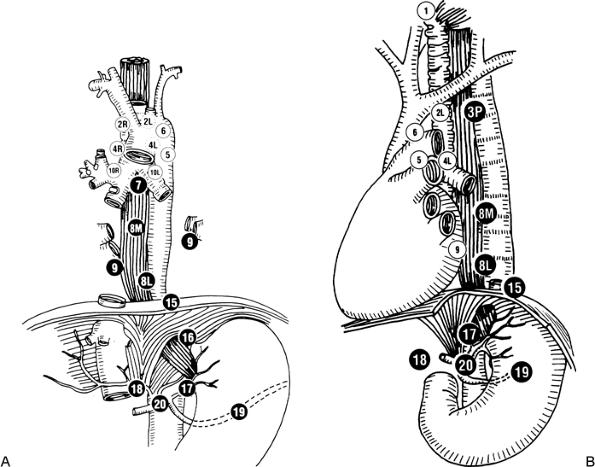 station 8, which was divided into 8M (middle) and 8L (lower) paraesophageal lymph nodes.